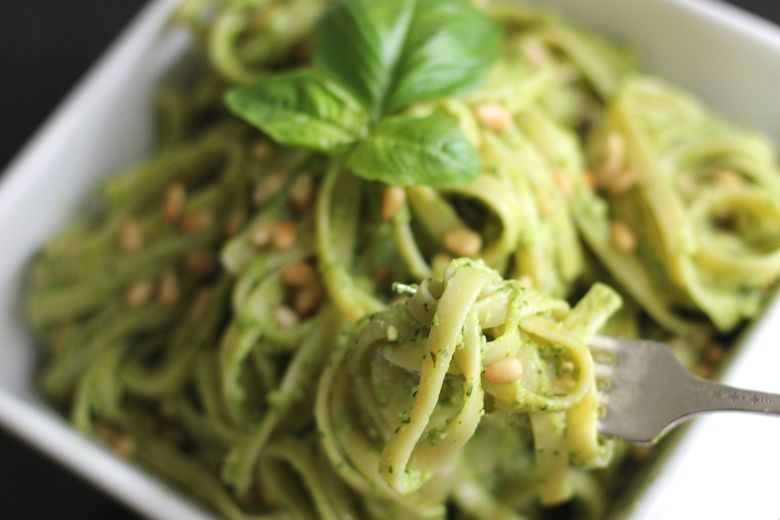 To celebrate Go Green week why not have a go at this delicious and simple recipe. All you will need is a container, a stick blender and a few ingredients. Heat oil in small frying pan over a low heat. Cook the pine nuts until golden, shaking occasionally. Put them into a container with the basil, Parmesan, olive oil and garlic cloves and with you stick blender process until smooth. You can also add other ingredients and I love chucking in some de-stalked kale and walnuts and I like to add this to my favourite pasta which is green linguine.